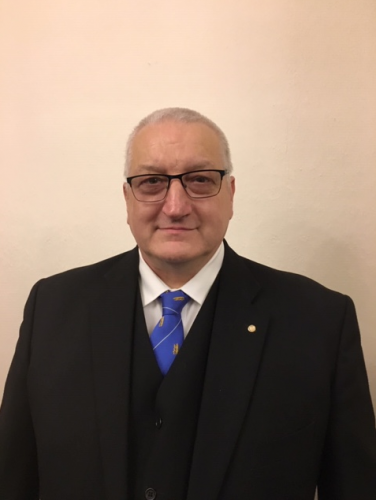 As Worshipful Master of Trinity Lodge No 254, and on behalf of its membership, it is my privilege to welcome you to our web site. Amongst these pages, visitors will find a wealth of information about Trinity Lodge, our long History, and an insight into Freemasonry in general. As brothers in an ancient and honourable fraternity, we pride ourselves in being men of good character, tolerance, compassion and benevolence. Our fraternity maintains high standards for itself as a whole and in keeping with our traditions. Current Freemasons, as well as those petitioning for membership, can expect to be held to high standards as well. Now in its 264th year, Trinity Lodge is an integral part of the historical tapestry of our city. Our greatest strengths lie, not only in our own membership, but also with our strong ties with Freemasons from other Warwickshire Lodges and beyond. This ancient Lodge with its unique traditions and customs, enjoys an active involvement in Charity fund raising and supporting the local Community. Trinity Lodge is progressive and takes great pride in its diverse membership, with different religions, recreational pursuits, professions, ages and lifestyle choices being represented. We welcome inquiries from aspiring Freemasons, as well as existing Freemasons who have moved to the area. The greatest compliments we receive are a petition for membership or from a Freemason wishing to visit.